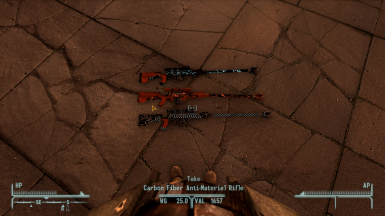 This mod adds Three unique variants of the Anti-Material Rifle. -Upped the carry weight by 5. 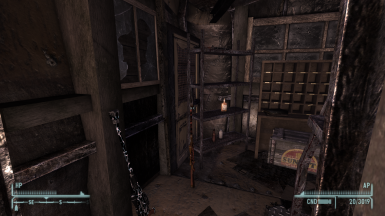 -Upped the damage a bit, by 10, from vanilla Anti-Material Rifle. Created this as a project to test moving looped textures on weapons/armors. I'll try update this with small tweaks here and there such as speed of animation, maybe apply mods, etc.